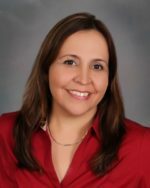 Dr. Gascon Garcia completed her psychiatry residency at the TexasTechUniversityHealthSciencesCenter in Lubbock, Texas as well as a fellowship training in child and adolescent psychiatry at Drexel University College of Medicine in Philadelphia. She received her medical degree from the Universidad Autonoma De Barcelona, Spain. Dr. Kaur graduated from addiction psychiatry fellowship program at University of Maryland Medical Center, Baltimore, Maryland. She completed general psychiatry residency training from Virginia Commonwealth University (VCU), Medical College of Virginia campus, Richmond, Virginia with overall “excellent” impression from her training supervisors. Throughout her fellowship and residency training Dr. Kaur served veteran populations at Baltimore VA Maryland Health System, Baltimore, Maryland and Hunter Holmes McGuire VA Medical Center, Richmond, Virginia respectively. She completed her medical school from Govt. Medical College, Patiala, Punjab, India. Dr. Kaur was treasurer of Resident committee during general psychiatry residency at VCU, Richmond, Virginia. Dr. Kaur has special interest in addressing substance use disorder along with mental health disorders. At Keystone Behavioral Health, Medication Assisted Treatment (MAT) services were started in 2014 under Dr. Kaur’s supervision. She is valuable member of American Academy of Addiction Psychiatry (AAAP), American Society of Addiction Medicine (ASAM), Clinical TMS society, American Psychiatric Society (APA), Pennsylvania Psychiatric Society, and Pennsylvania Medical Society. Dr. Kaur has written articles on Stress management, Suicide, Self-care, Seasonal Affective Disorder and drug overdose awareness. Her work is published in the local newspaper and the Keystone website. She is invited to present at international annual conferences and to judge work of other professionals as peer reviewer and journal reviewer. She is currently a Clinical Faculty at Drexel University, College of Nursing and Health Professions. Dr. Kaur is licensed in Medication Assisted Treatment (MAT). Board Certified: American Board of Psychiatry and Neurology; subspecialty Addiction Psychiatry American Board of Psychiatry and Neurology. Dr. Mania completed the adult psychiatry residency training in the Department of Psychiatry at Drexel University College of Medicine in Philadelphia. During his residency he served on an Executive Steering Committee and was a Chief Resident. He completed a year-long residency elective at the institute of addictive disorders at Drexel and participated in the fellowship program at the Psychoanalytic Center of Philadelphia. Dr. Mania has an extensive research background in Electrophysiology from the Department of Psychiatry at Emory University School of Medicine. Dr. Mania is a vice-chairman of the Mental Health Board for the Franklin and Fulton counties and serves as a secretary-treasurer for the Central Pennsylvania Psychiatric Society. Dr. Mania is a clinical faculty at Drexel University and affiliated professor at the University of Georgia. He is a member of education committees of the Central Pennsylvania Psychiatric Society and clinical TMS society. Dr. Mania is licensed in Medication Assisted Treatment (MAT). Business Name: Rebecca Eleanya, M.D. Dr. Eleanya completed her Child and Adolescent psychiatry fellowship at the University of Texas Southwestern Medical Center in Dallas, Texas and her residency at Texas Tech University Health Sciences Center in Lubbock, Texas. She served as a Chief Resident during her fellowship training. 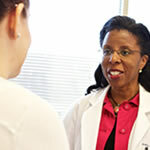 Dr. Eleanya completed her Bachelor of Medicine, Bachelor of Surgery degree at Nnamdi Azikiwe University and her Master of Public Health degree at Boston University School of Public Health in Boston, Massachusetts. Business Name: Sabeen Faris, M.D. Dr. Faris completed her Geriatric psychiatry fellowship at Northshore Long Island Jewish Medical Center in Glen Oaks NY, and her post-graduate psychiatry residency fellowship at Nassau University Medical Center, in East Meadow, NY. Dr. Faris completed her Bachelor of Medicine and Bachelor of Surgery at Khyber Medical College in Pakistan. Business Name: Abhishek Nitturkar, M.D. Dr. Nitturkar completed his Child and Adolescent psychiatry fellowship at Children’s National Medical Center in Washington, DC and his residency at the University of Virginia in Charlottesville, VA. He completed medical school at Government Medical College in Maharashtra, India. Business Name: Mallory Markloff, M.D. Dr. Markloff completed her psychiatry fellowship and residency at the University of Massachusetts in Worcester, Massachusetts. She completed medical school at the Commonwealth Medical College in Scranton, PA, and her Bachelor of Science degree at Messiah College in Grantham, PA.
Dr. Faruqui completed his residency training at Virginia Commonwealth University in Richmond, VA. He completed medical school at Rajshahi Medical School in Rajshahi, Bangladesh and his Bachelor of Science degree at the University of Patna in Patna, India.